The members of Horizon's Frist Impressions Team work hard on the weekends and many like to take a break during the summer months. We are looking for Horizon attendees who perhaps cannot serve during the school year, but are willing to help provide summer vacation relief. Horizon is also in need of people who are willing to serve all year round. 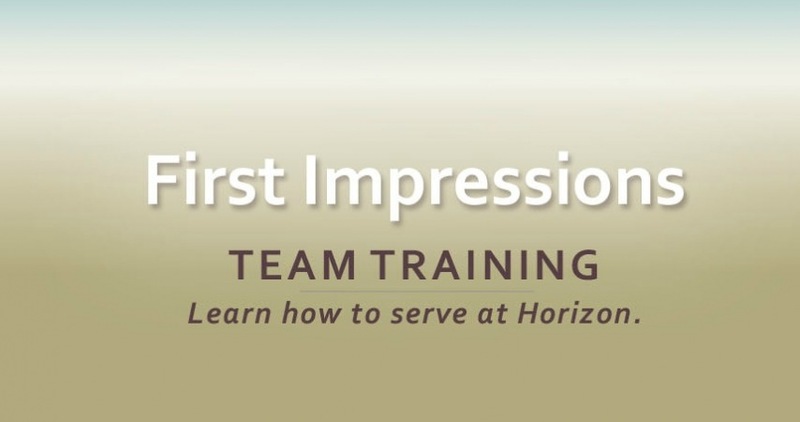 For details about serving on Horizon's First Impressions Team, plan to attend this training on Sunday, July 30th at 11:15 a.m. The training will take place on the 2nd floor in Skybox B. Learn how to welcome visitors, serve in the cafe or help with parking.